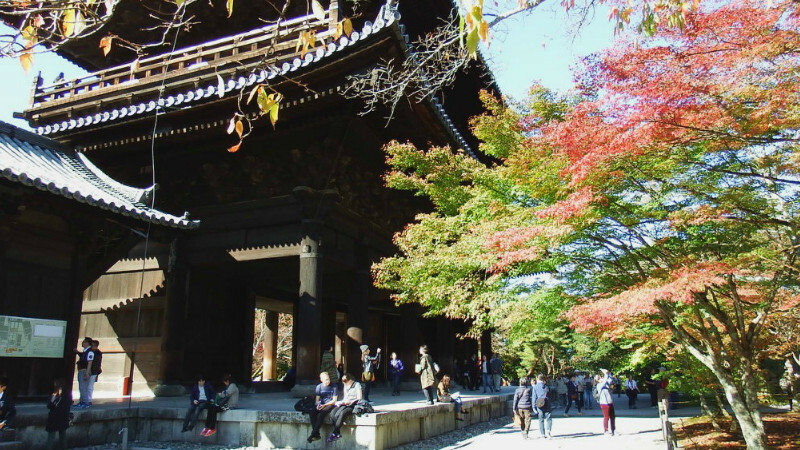 This area, which houses Nanzen-ji temple and is situated southeast in relation to Heian Jingu shrine, embodies the true essence of Kyoto and is enwrapped in a dignified yet nostalgic atmosphere that will make you want to visit any season of the year. In the fall, when the tinted foliage is particularly beautiful, you will be amazed at the breathtaking shots you can get even without doing anything special with your camera. 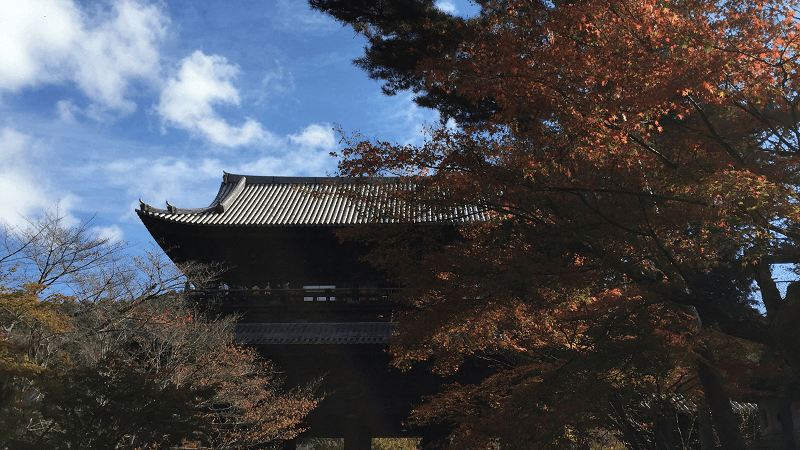 Since we will be taking a tour around Nanzen-ji temple and the spectacular buildings in the surrounding area for the first part of this special feature, we at Sharing Kyoto will introduce a Golden Route that we sincerely recommend. If you’re planning to go to Nanzen-ji temple, why not start your walk from this tunnel which you’ll find as soon as you exit the Keage Subway Station. This mysterious shortcut known as Nejiri Manpo －twisted tunnel was made during the Meiji period. 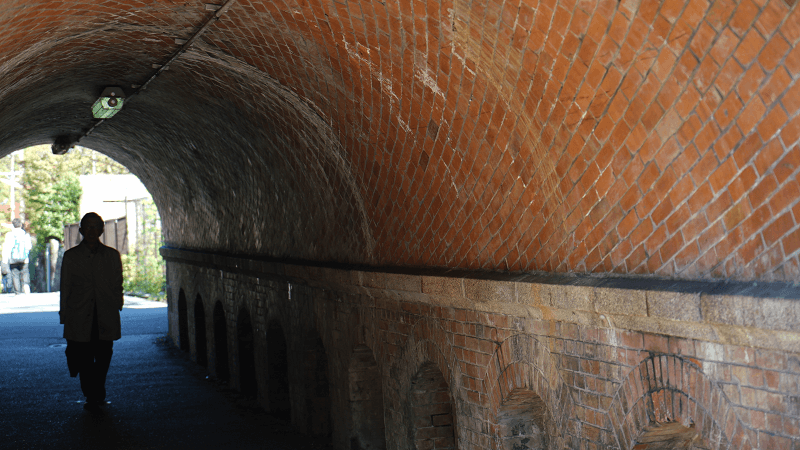 Situated under a cable railway which was used to transport ships, the interior of the tunnel was made with bricks stacked in a spiral design to withstand the load, and this distinctive design produces a fantastic and mysterious atmosphere. The road at the end of the tunnel is ordinary but continues on to traditional Japanese lanes that are quiet and modest. As you walk along this lane, you’ll find “Konchi-in temple”. “Konchi-in temple” is a sub-temple of Nanzen-ji temple and is located about a 3-minute walk from Nanzen-ji temple. 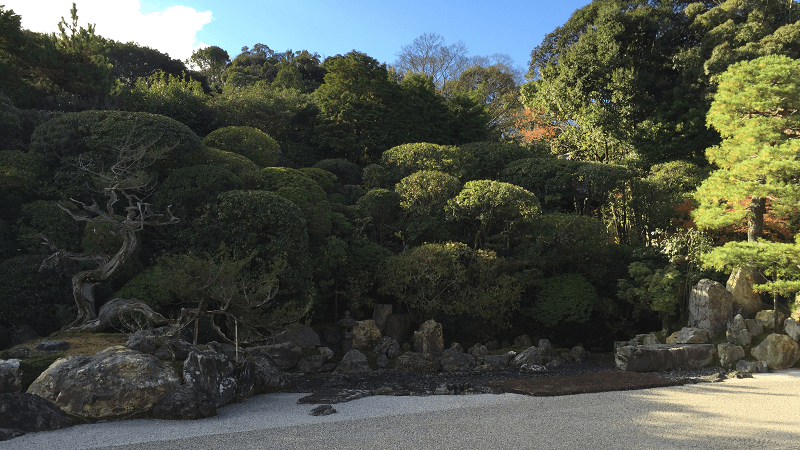 The highlight of the temple is the dry landscape garden featuring the Tsuru Kame no Niwa (crane and turtle garden) which was built by a famous Japanese garden designer. If you’re interested in the beauty of Japanese gardens, we recommend that you take the time to drop by this temple. Even from under the Sanmon Gate, you will still get an “amazing view”. 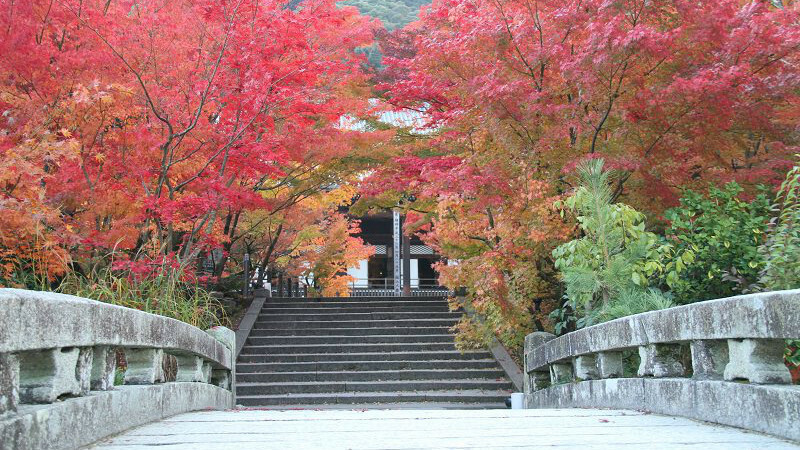 We’re certain you’ll be delighted by the picturesque sight of the Sanmon Gate fringed on both sides by fresh green verdure in the summer, and the landscape framed by red and yellow leaves in the autumn. Another notable feature of Nanzen-ji temple is the aqueduct. This structure that stands on the temple grounds may come across a rather odd sight. 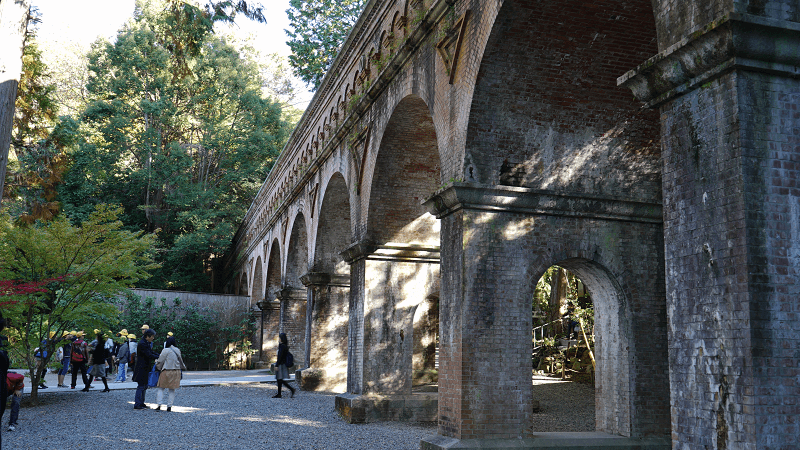 Constructed over 100 years ago, this aqueduct is still used to carry water from Lake Biwa (located in neighboring Shiga Prefecture), which is Japan’s largest lake and Kyoto’s most important water source. Today, this historical structure is still a basic social infrastructure indispensable for daily lives. Everywhere on the temple grounds you’ll see people enjoying taking pictures or finding a perfectly-sized rock where they can sit and rest their travel-weary feet. Although this is a popular tourist destination, because there are no strictly set routes to follow, you can stroll through the temple grounds at your own pace and leisure, which is one of the alluring features of Nanzen-ji temple. Visitors can move around as they desire to find their own favorite or fun spot to enjoy the view. Please come to find your own personal “amazing view”. In Kyoto, “Eikando of autumn leaves” has been a popular saying since the olden days. Situated on the west side of Nanzen-ji, Eikando is regarded as a special spot by the locals who regard it as the “most magnificent” among all the spots in Kyoto that are at their most glorious in the autumn. There are approximately 3,000 maple trees on the temple grounds. The best time to take in this sight is in mid-November, and the evening illumination that takes place for one month from early to late November is also a must-see. Although neither temple nor shrine, if you’re going to be taking a stroll in this area, there is a place we recommend you visit – it’s Murinan. 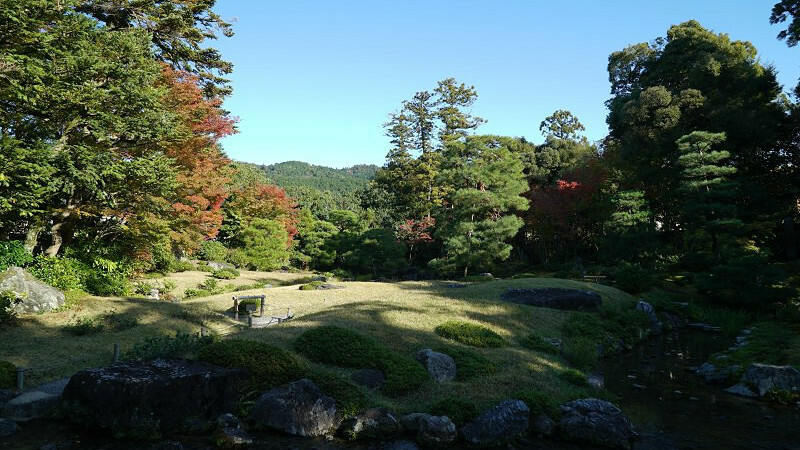 On this property, you’ll find the brilliantly preserved vacation home of Aritomo Yamagata, senior statesman of the Meiji and Taisho periods, Fully enjoy the essence of a Japanese garden that recreates the natural state of the fields and mountains through the fallen leaves atop the moss and murmuring streams. Murinan = “no neighbors,” and as its names suggests, the property is surrounded on all four sides by quiet roads, making this an air pocket of quiet that offers you a calm respite from a busy day of sightseeing.